One of the best aspects of JBACHINGTAWHS (Just Because Anything Can Happen Is No Guarantee That Anything Will Happen Sunday, formerly known as Anything Can Happen Sunday, or ACHS), is its flexibility. So, if on Sunday I were to close my eyes for a bit in an effort to vanquish a headache, only to wake up hours later with the day almost over and nothing written, it’s perfectly acceptable to open the publishing window a little wider and post Sunday’s story on Monday. Initially I’d planned to share an article that I’d written for my hometown newspaper in 1978 after I’d been invited to spend the day learning about the news business with one of their reporters. 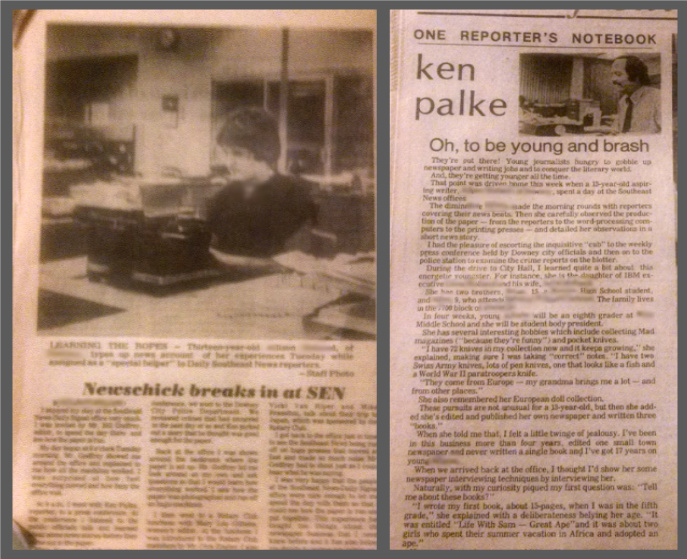 But I’d forgotten that in addition to what I’d written, Ken Palke, the reporter I’d shadowed, had written his column about me. And there was no way my narcissism and self-importance would let me post another adolescent example of something that I’d written, when I had the opportunity to share what someone else had written about me. They’re out there! Young journalists hungry to gobble up newspaper and writing jobs and to conquer the literary world. And, they’re getting younger all the time. That point was driven home this week when a 13-year-old aspiring writer, Baroness Buttercup, spent a day at the Southeast News offices. The diminutive Buttercup mad the morning rounds with reporters covering their news beats. Then she carefully observed the production of the paper – from the reporters to the word-processing computers to the printing presses – and detailed her observations in a short news story. I had the pleasure of escorting the inquisitive “cub” to the weekly press conference held by city officials and then onto the police station to examine the crime reports on the blotter. During the drive to City Hall, I learned quite a bit about this energetic youngster. For instance, she is the daughter of IBM executive GH and his wife AH. She has two brothers, BH, 15 a high school student, and AIH, 9, who’s in grade school. In four weeks, young Buttercup with be an eighth grader at the Middle School and she will be Student Body President. She has several interesting hobbies which include collecting Mad magazines (“because they’re funny”) and pocket knives. She also remembers her European doll collection. When she told me that, I felt a little twinge of jealousy. I’ve been in this business more than four years, edited one small town newspaper and have never written a single book and I’ve got 17 years on young Buttercup. When we arrived back at the office, I thought I’d show her some newspaper interviewing techniques by interviewing her. Her second story, a more ambitious 21-page effort, was written when she was a sixth grader. Buttercup’s third novel, a bulging 109 pages, is untitled, but it’s about five couples in their early 20s who travel to South America, wind up marooned and spend four years on an island. The whiz kid has also published a newspaper – The Sun distributed through her neighborhood and at school – and a magazine that only lasted a single edition, called Wow. Buttercup added that she enjoyed her tour around the news offices and her visit to City Hall and The Rotary Club meeting with our Home and Living scribe, Mary Lou Githens. Lookout Woodward and Bernstein. 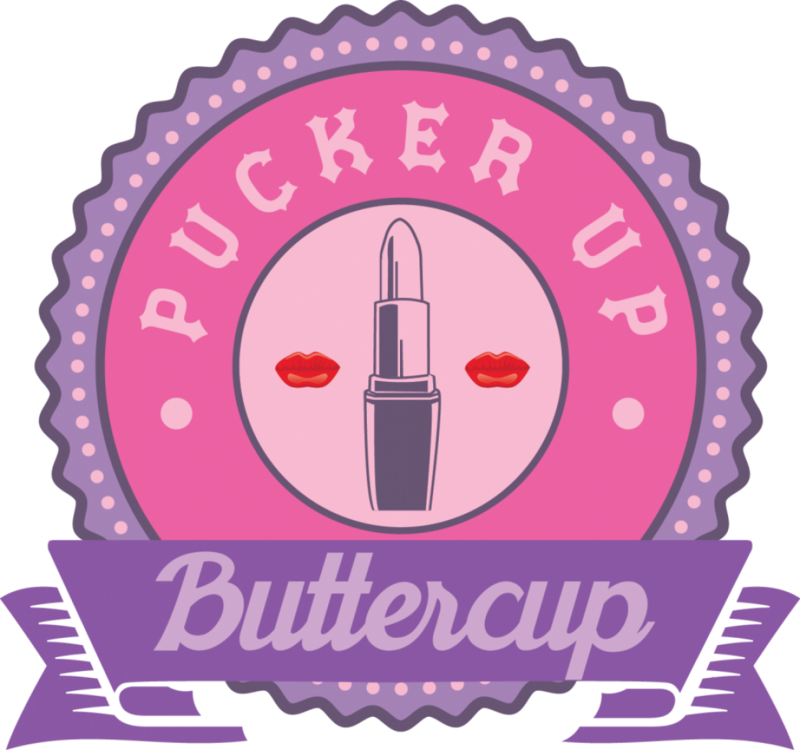 Here comes Buttercup! Ahh, you were talented even back then! Heh. You were a wunderkind. Why does that not surprise me? I’m guessing you’re not surprised because 83% of what I say is about how awesome I am.